Please contact the office of admissions for make-up test dates. REGISTER NOW – Receipt of the Application for Admission and application fee serves as official registration for the High School Placement Test (HSPT®) at SBA. For over fifty years, academic high schools nationwide have used Scholastic Testing Services High School Placement Test (HSPT®) to assist with admissions, scholarship selection, and curriculum placement. The HSPT® is a comprehensive placement test for eighth graders for placement in the ninth grade. It provides a maximum of information in only one morning's testing time. All rising freshmen applying for admission to SBA must take the High School Placement Test (HSPT). HSPT scores help evaluate the applicant’s overall record and ensure the student is properly placed in traditional or Honors-level classes. It is recommended that students take the HSPT at St. Benedict. 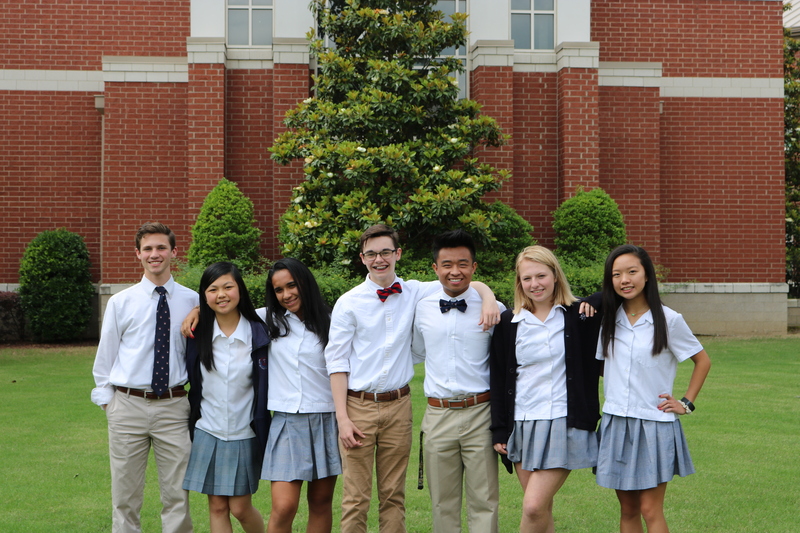 Taking the test at St. Benedict is considered an indication of a strong desire to attend SBA. However, we gladly accept test results from other area schools. * Applicants who do not test at SBA will not be considered for academic scholarships and it will be the responsibility of the individual to forward a copy of the test results to the Office of Admissions. * Scholastic Testing (STS) recommends that the HSPT® only be taken once by each student. The test is scheduled for December 1, 2018 at 8:00 a.m. Please first apply online to register for the test, and our Admissions Office will contact you with additional information. The test results will not only be used as a part of our applicant evaluation but will also be used to place students in Traditional or Honors-level classes. Verbal Skills - 18 minutes - 60 questions assessing a variety of skills, including verbal analogy, verbal classification, logical reasoning, and the recognition and usage of synonyms and antonyms. Quantitative Skills - 30 minutes - 52 questions on number and letter series, picture analogy, and picture classification. Reading - 25 minutes - 62 questions testing major comprehension skills including: ability to remember important ideas and significant details, recognizing central thought or purpose, making logical inferences, and understanding vocabulary in context. Mathematics - 45 minutes - 64 questions evaluating computation, problem-solving skills, knowledge of important concepts, and ability to reason. Language - 25 minutes - 60 questions testing skills in grammar, spelling, syllabication, style, usage, and diction. SBA also uses the Science subtest as part of the High School Placement. This test consists of 40 questions on astronomy, biology, chemistry, earth sciences, and physics. Check – in begins at 8:00 a.m. at the Dining Hall entrance. No one will be admitted after 8:25 a.m. The test will begin promptly at 8:30 a.m. and will end at approximately 12:15 p.m. Please bring two soft lead (No. 2) pencils. Students will have a 10 minute break mid morning. Please send a water and small snack.